The following items of clothing are available for purchase. Socks can be bought from behind the bar at Thames Ditton. 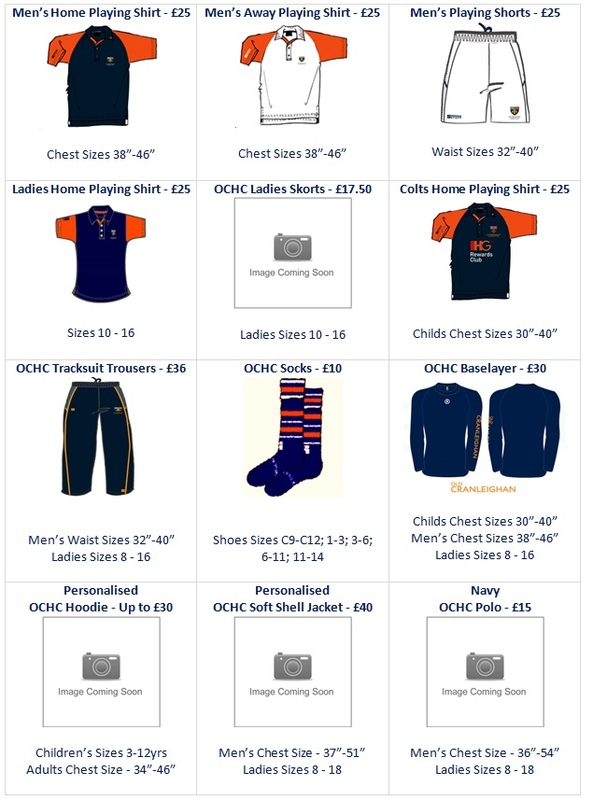 Other items such as shirts, shorts, hoodies and jackets can be ordered directly from Helen Hawes (07771 557900). Any order for personalised items or Colts playing shirts must be placed by the Sunday to guarantee delivery for the following weekend. COLTS: A kit desk operates at the OC Club House 9.30am-12.30pm every Sunday of the Colts season. This is the most efficient way of placing your child’s playing kit order.